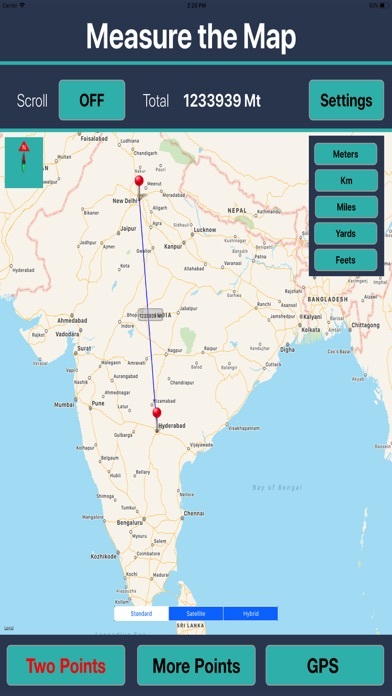 Measure Distances & Areas on maps! 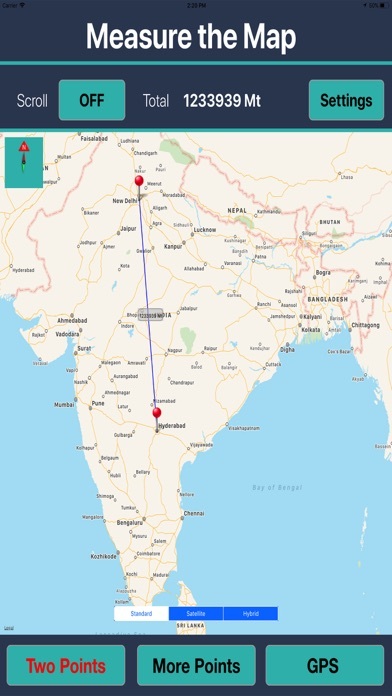 This app is perfect for measuring any size lengths and area perimeters irrespective of directions and positions on map. Draw a geometric figure of the object you want to measure and get instant calculation figures. Draw a line if you want to determine distance from any two or multiple points, or draw a polygon to determine area and perimeter. Features of Map: Tap on the map to get a marker or continue tapping to get more markers. Click on the marker to move position, edit or delete one. Option to enable stop/scrolling map. You can hide/show distance labels between markers. 5 - different units of measuring distances and areas. 4 interactive Map Modes for comfortable measure. Switch between Areas/Length measures without loss of data. Copy and paste the result values into another location/program. Email drawn image with measurements as attachment. Intuitive compass helps determine direction of measurement objects. 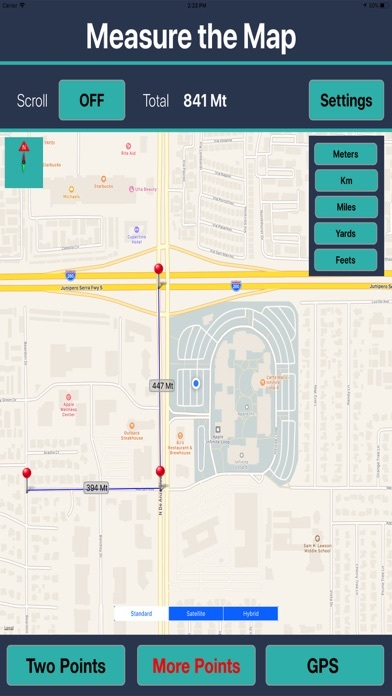 This map is perfect for both personal and professional uses, also a much easier and accurate tool on your devices.